Ruffled Sponsor Highlight and Giveaway! Ruffled will announce the winner in the Weekly Wrap Up next Friday, August 3rd. Have you heard of this!? Yes you are seeing correctly. You have a chance to win $15,000 of prizes and services from premier wedding professionals in the California Bay Area. How awesome is that?! What we’re looking for is an AWESOME story about how he proposed. Where were you? What did he say? What did he do? Tell us your story. You could win and have your wedding at the beautiful PALMDALE ESTATES in Fremont, wedding planning from DIY Knot and design from Amazae, flowers from LS BLOOMS, an AMAZING cake from JEN’S CAKES, jewelry from One World Designs, Video coverage, and SO MUCH MORE! Yours truly is giving away the USB drive of edited images and a canvas of your favorite image! All these prizes allow you to plan your DREAM WEDDING. You can literally have your cake and eat it too! 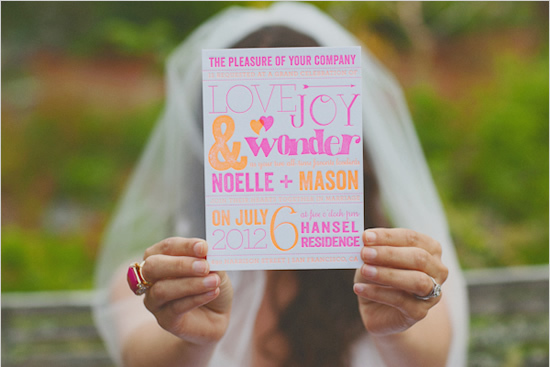 As long as your wedding dates are still fluid and you enter by Aug 31st, 2012 you have a chance to win! Winners will be picked by a random drawing the first week of September. What are you waiting for!!? Click HERE and head on over to the website to sign up today. I was recently asked by The Makeup Dolls to participate in a styled neon shoot…and it’s featured on the Wedding Chicks today! Take a look at these beautiful photos by Jennifer of A Girl and A Camera Photography….model Kendra’s hair and makeup by The Makeup Dolls….neon invitations by The Aerialist Press….all styled by LVL Weddings & Events. Neon pink hair accessories by One World Designs. 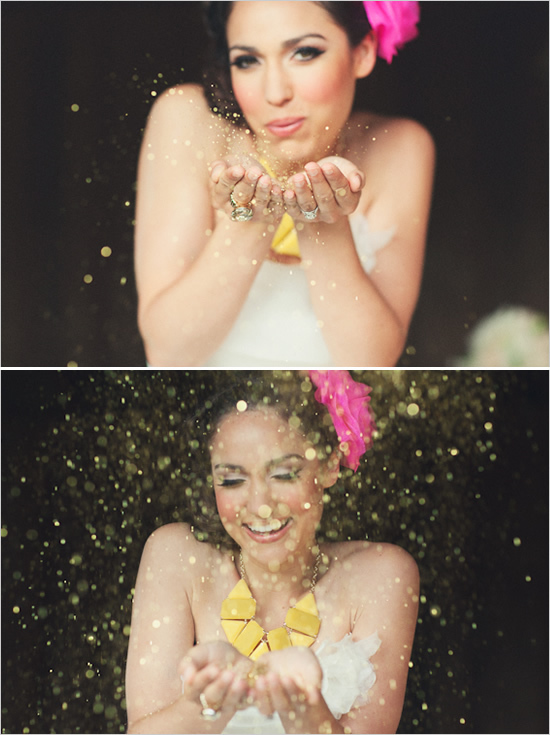 Thank you to a great team of vendors…we love neon…and glitter! 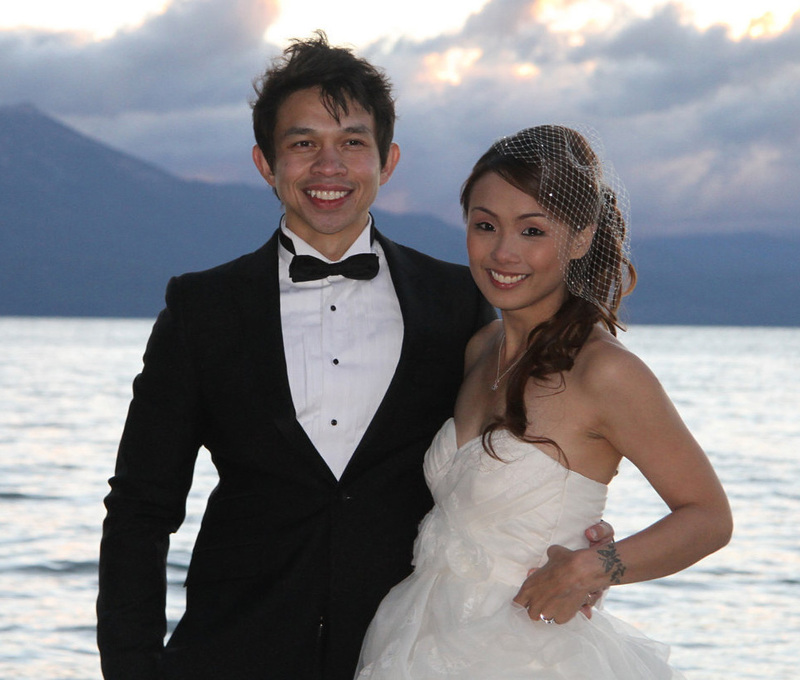 Congratulations to Jaclyn and Sebastian! Recently married at beautiful Lake Tahoe, they were married at sunset, by the Timber Cove dock and beach. 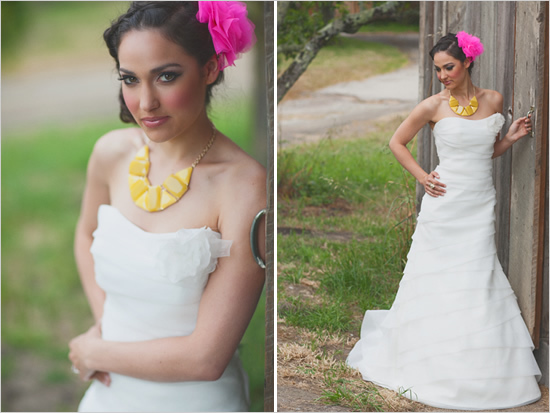 I LOVE LOVE Jaclyn’s wedding day look…birdcage veil, short dress and tennis shoes (with yellow trim)! 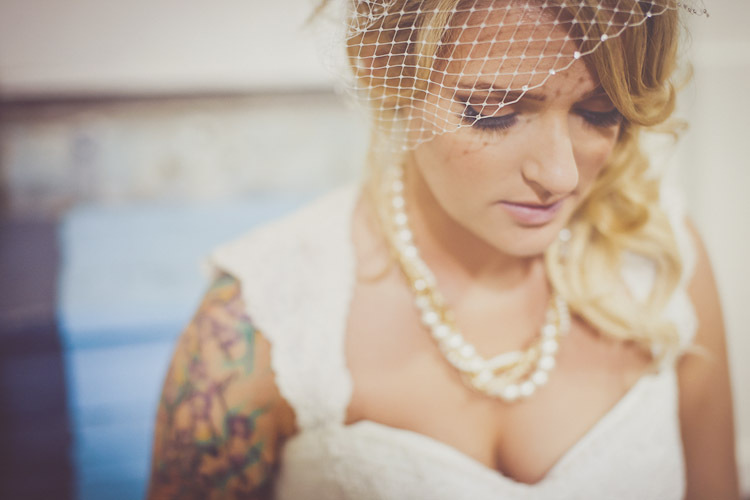 Jaclyn ordered the Liz Birdcage Veil from my Etsy shop and the hair stylist’s at Lulu Hair Design (inside Harrah’s Casino) completed her wedding day look. 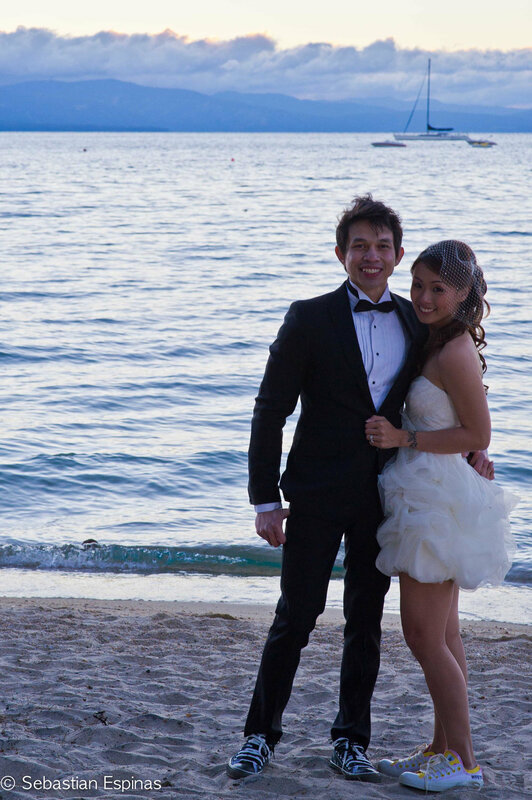 Congratulations to Jaclyn and Sebastian!